Version 5 brings the heavily redesigned UI, streamlined features, and hey… it’s built from the ground up. Yes, we literally threw away all of the old code, create new project in Xcode and select Swift as the programming language, and scavenge any algorithms as much as we can from the old code. Up until this version, Movreak was still written in Objective-C – that some of you may never see what it looks like – a C-wrapper, reference counted, OOP language, that’s very hard to get it right. Don’t get me wrong, Objective-C is powerful, and it’s safe and sound, still well-maintained by Apple. Not only that, v5 brings one thing I value the most, it’s a team effort. As I said, since v1 to v4, I’m the only one who wrote everything, stir most of its features direction, it’s all about me. Version 5 is all about team. All iOS’ Swift code is written by DyCode’s CTO, UI is designed by DyCode’s Chief Design Officer and her team, the backend is now enhanced and maintained by more than one person, and not to mention there’s a dedicated developer for the Android version that will be hopefully updated soon. Feature direction is now discussed and decided by a team of passionated people, who’re really the user of the app. Going together sounds pretty good to me. 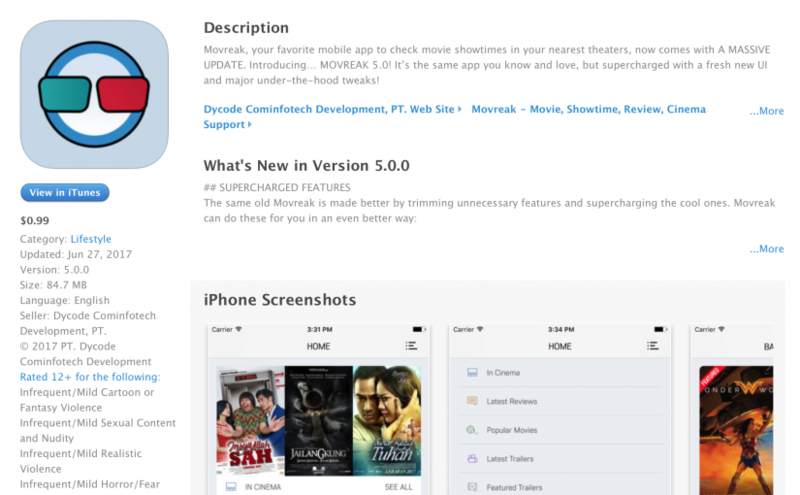 Now, all I can say is congratulation to Movreak team for releasing version 5. Also congratulation to Movreak users for finally getting the most awesome Movreak update yet. Thank you abundantly for being loyal Movreak users all this time. 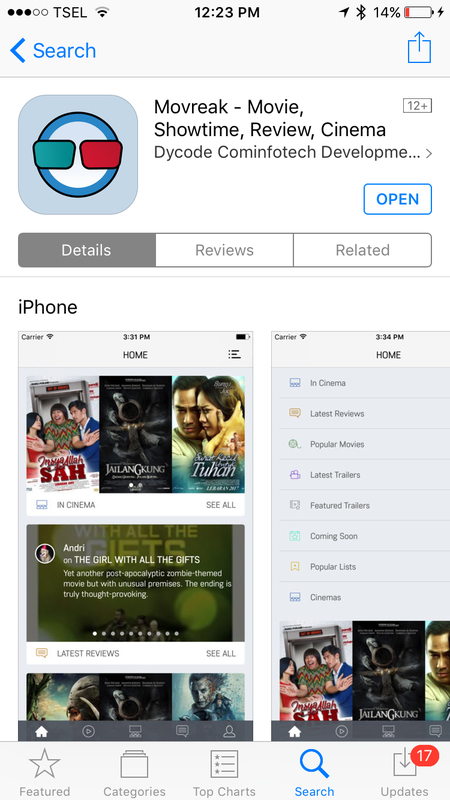 Your feedbacks, ideas, and reviews (and hopefully 5 stars rating :P) on the App Store are greatly appreciated. Now open that App Store, and update your Movreak app. Note: this v5 update is for paid version just for now. For the free version, just stay tune, we have something you might like. Update on Android version is coming soon.